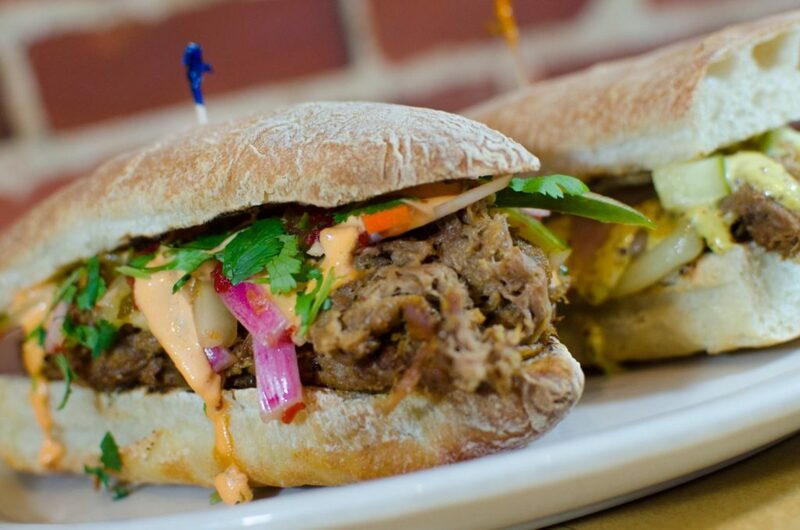 Kalamazoo’s Vine Neighborhood is home to some of the best food in the city! Every one of the restaurants on this list offer delicious and unique menus. And if that isn’t enough to keep you coming back, the individuality and atmospheres of these hidden gems will certainly seal the deal! A contemporary oasis offering affordable gourmet cuisine, Cosmo’s Cucina was established in November 1992 with the goal of bringing simply creative cooking to Kalamazoo. Locally and family owned, Cosmo’s works with local farmers, sourcing the best, freshest ingredients available. A place to meet friends, both old and new, share stories, all without the distraction of television. O’Duffy’s is Kalamazoo’s only real pub, family owned, real food, real beer, and really wonderful people. It was one of the very first non smoking bars in Kalamazoo. O’Duffy’s opened in the Summer of 1999. Located in the heart of the Vine Neighborhood in Kalamazoo, Michigan and perched atop the Fourth Coast Cafe, Crow’s Nest has been the go-to restaurant for the surrounding neighborhood and travelers near and far for nearly a decade. Open 7 days a week and 24 hours a day on the weekends. Open 24 hours. Free WiFi for customers. Now a smoke-free environment. Full service restaurant located upstairs. Bakery on site. A melting pot of Kalamazoo culture. Now celebrating 20 years of coffee and good times! Featuring a wide variety of delicious and nutritious bagels, specialty cream cheeses, signature bagel sandwiches, soups and baked goods. These award-winning bagels are baked fresh everyday from scratch, right in our own kitchen. Also serving fresh gourmet coffees, espressos and specialty drinks using the finest coffee beans available. Serving Italian, pizza, sandwiches and vegetarian meals. Grounded in Kalamazoo since 1986, Taco Bob’s prioritizes the commitment to our customers through quality ingredients and consistently exceeding customer expectations to further our imprint in the community pursuing lifelong relationships.